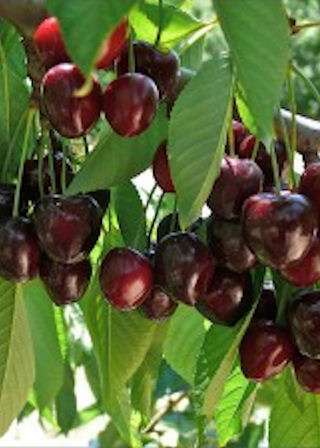 A black cherry of superb quality for picking mid to late July. Another excellent variety from the John Innes Institute. The fruits are large, purple/black with firm. juicy, red flesh. superb flavour. The trees are vigorous, with a very heavy crop. Pollinate with: Merton Glory or Morello.